A new team has been established at the College which brings together the Outreach Program and the in-house support of the Aquinas’s spiritual and liturgical life. The team comprises the new College Youth Minister (Cassie Wilmot), three student Youth Ministry Assistants, the student Outreach Coordinator, and the Chaplain. ‘Mission Central’ is the name of the new hub where the CMT will be based. It is strategically located in the ‘Maino foyer’ to foster student engagement in the central Aquinas mission of giving life to the Gospel. 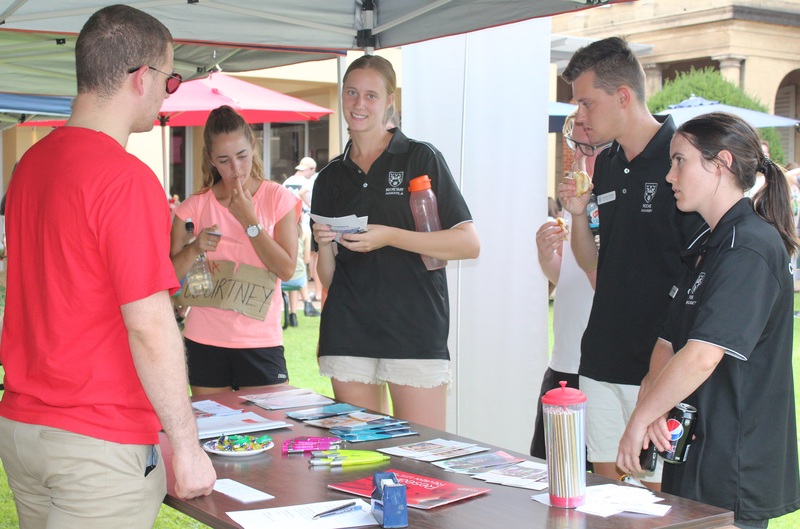 A launch event was held during the ‘Service and Spirituality Day’ on Thursday of O-Week. Eloise Patzel (Aquinas 2009) was MC for the event and commended the College for its efforts in prioritising its mission. A number of organisations with which the College connects for Outreach, such as St Vincent de Paul, had stalls to promote their ministries. Our thanks go to the young former Aquinians who volunteered as waiters for the event. A wonderful afternoon enjoyed by all!